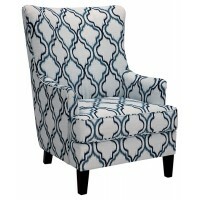 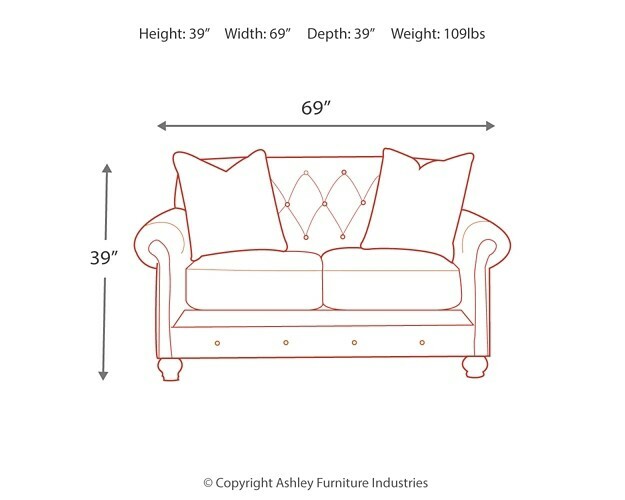 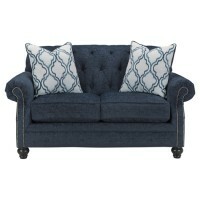 Exquisitely sophisticated, this loveseat is the belle of the ball. 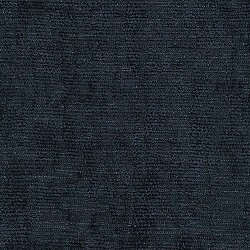 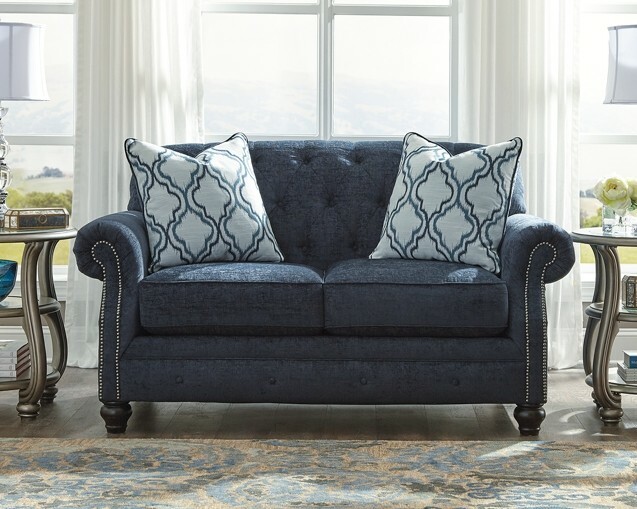 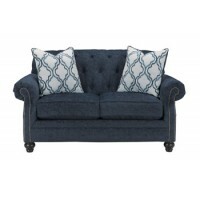 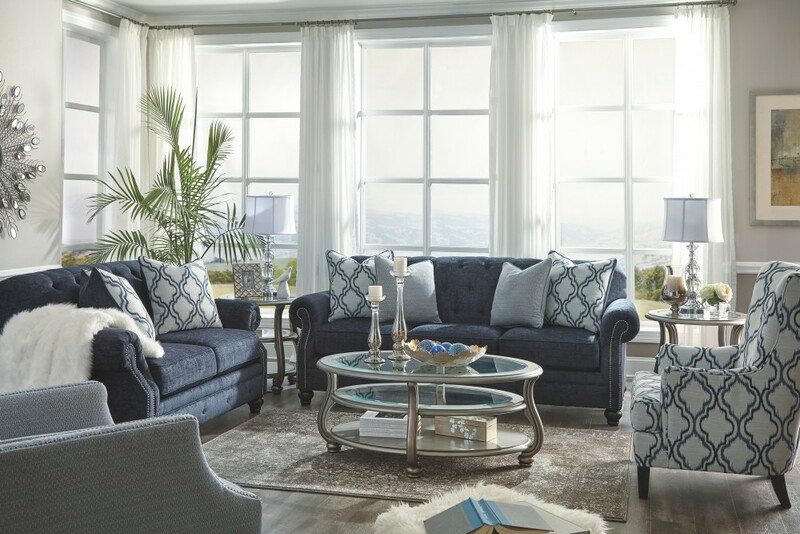 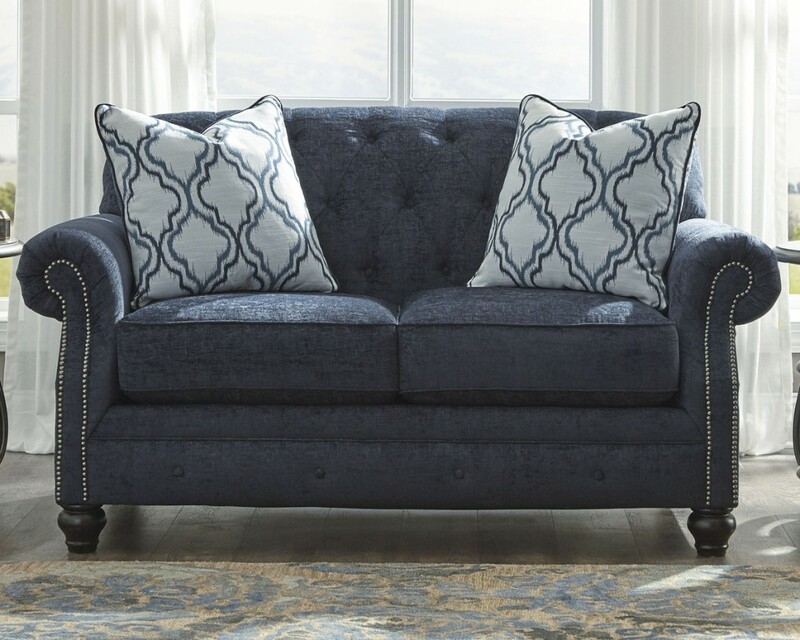 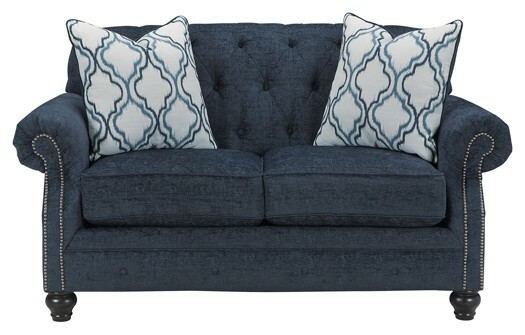 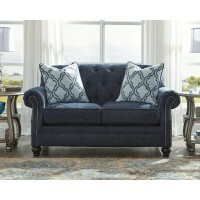 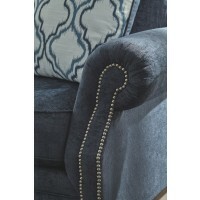 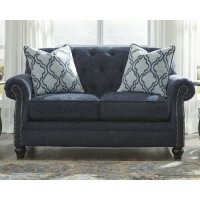 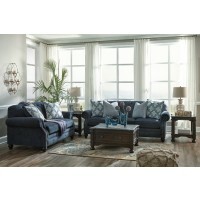 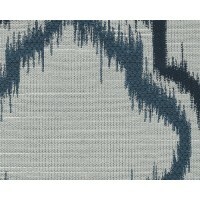 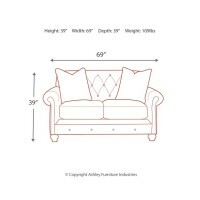 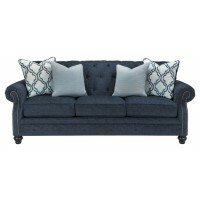 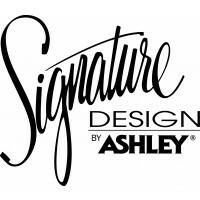 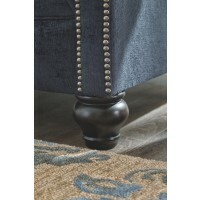 Chesterfield design is elevated with velvety soft navy blue chenille upholstery and button tufting. 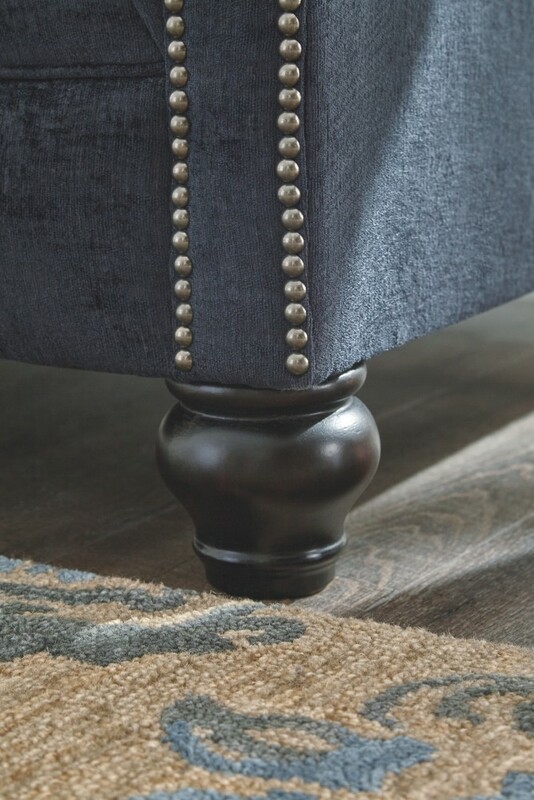 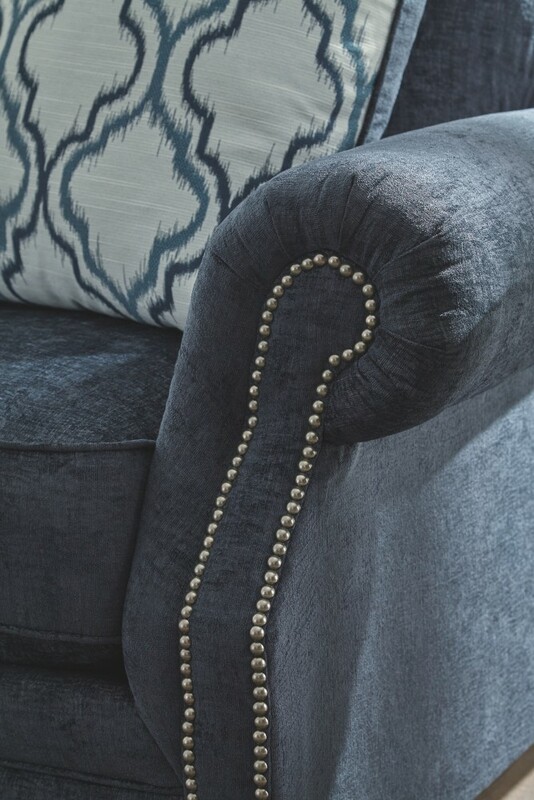 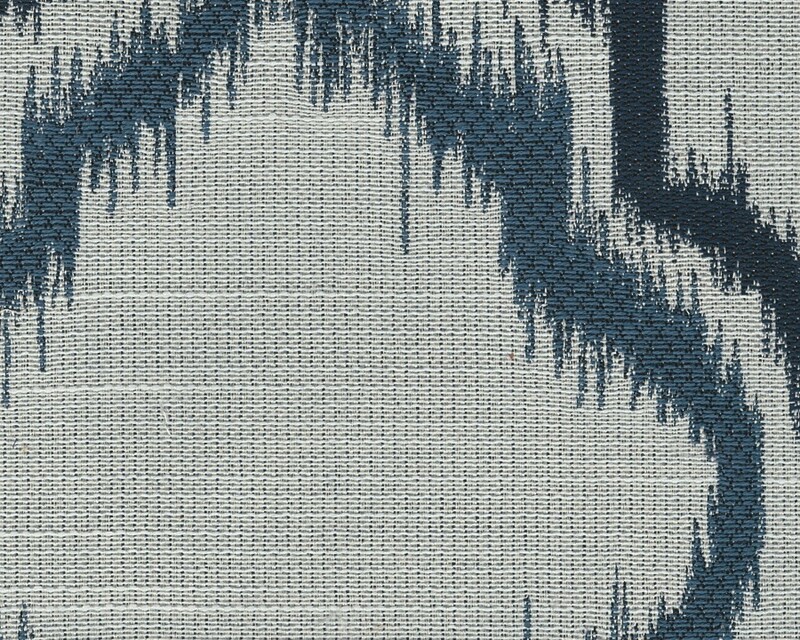 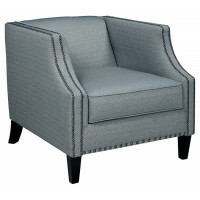 Nickel tone nailheads accentuate lovely pleated roll arms. 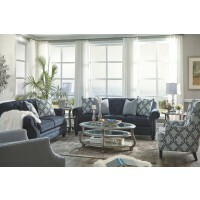 Tie the look together with soft throw pillows filled with feathers. 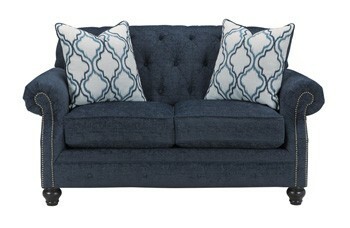 This loveseat is an absolute showstopper.